Nothing is more important to business success than communicating professionally and promptly with customers and colleagues. 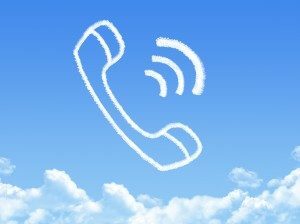 Today’s businesses have a wide range of options to address their phone system needs – everything from robust, highly technical PBX systems traditionally used by businesses to new, feature rich cloud-based VoIP phone solutions that provide an easy-to-use alternative. Until recently, this type of sophisticated communications solution was available only to companies with the necessary financial resources to design and implement their own customized phone systems. Today, however, the internet and cutting edge technologies are driving down costs, lowering adoption barriers and opening new communication options, allowing businesses of all sizes to afford a world-class business phone system. A VoIP phone solution provides all the telecommunication capabilities that today’s businesses demand, and promotes easy to configure and intuitive phone system controls. Contact us today for a VoIP Consultation.